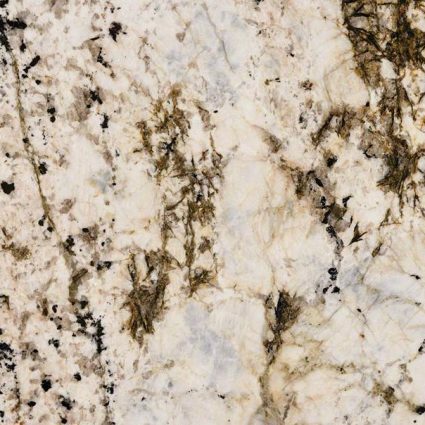 Antico Cream Granite features a warm white background with gold and brown flecks, and just a touch of shimmery flecks adding elegance and drama. 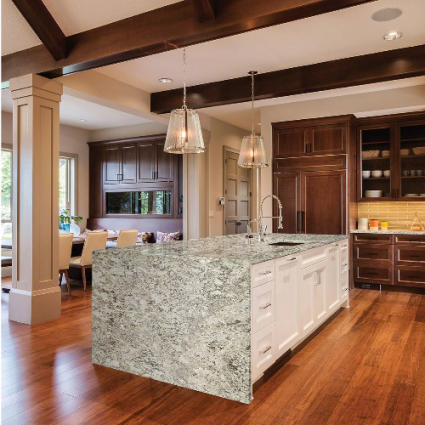 Use this durable natural stone to create beautiful Granite countertops, floors, backsplashes, and show-stopping waterfall islands in both homes and commercials properties. 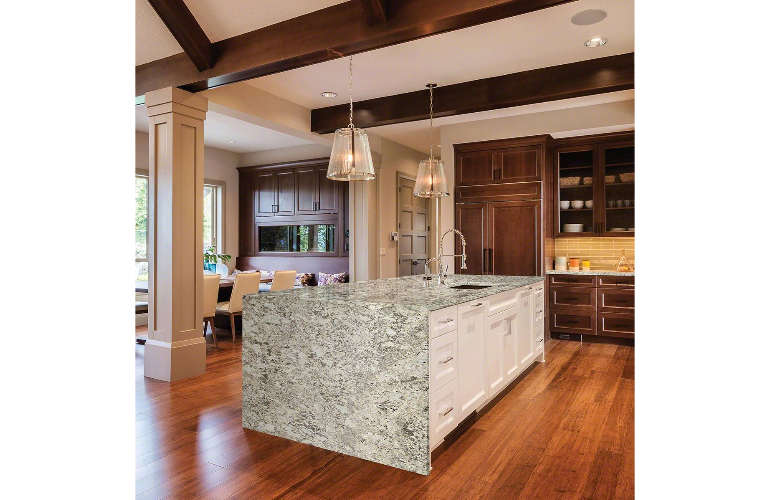 This Granite is also suitable for exterior projects including outdoor Granite kitchen countertops.